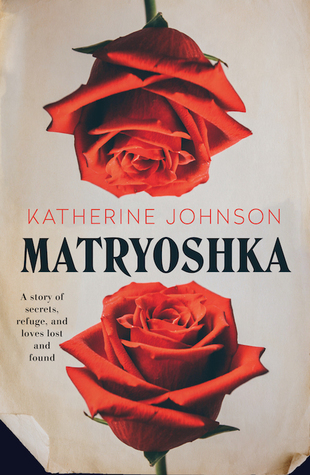 The award-winning author of The Better Son is back with Matryoshka – a beautifully written and haunting tale of family, secrets, violence, and refuge, set against the breathtaking backdrop of Tasmania. When Sara Rose returns to live in her recently deceased grandmother’s Tasmanian cottage, her past and that of her mother and grandmother are ever-present. Sara’s grandmother, Nina Barsova, a Russian post-war immigrant, lovingly raised Sara in the cottage at the foot of Mt Wellington but without ever explaining why Sara’s own mother, Helena, abandoned her as a baby. Sara, a geneticist, also longs to know the identity of her father, and Helena won’t tell her. Now, estranged not only from her mother but also from her husband, Sara raises her daughter, Ellie, with a central wish to spare her the same feeling of abandonment that she experienced as a child. culture experiences (perhaps many of you reading this are the 2nd or 3rd generation Australians – you will know what I mean here) juxtaposed against modern prejudices of “other” and a culture of detention and family separation that is modern day Australia. This is a gently written, poignant, interesting read that has great content for book club discussions around the world. This entry was posted in Book supplied by publisher or author for review, Contemporary Fiction, Post Script: Book Reviews and tagged Aussie Author Challenge 2018, Australian Women Writers Challenge 2018, bookclub discussion material, immigration, migration. Bookmark the permalink.